I have been stuck in a rut doing warm colors that I wanted to do something featuring cooler-toned shades. I filmed a tutorial for this look, I switched up the lip color at the end. Which color do you prefer? Let's sit back and take a moment of silence for how RIDICULOUSLY GORGEOUS Lady Gaga looked at the Grammys!!! I was blown away when she stepped onto the red carpet. SHe had one of my favorite looks of the night, particularly because she had fun with her makeup. So many did the whole "no makeup look" but YAWN. It's the Grammys, it's the best time to show out! The green complimented her eyes and the jewelry she wore that night. BIG kiss of approval. I was watching "Coming To America", hence the name of my blog post. The name in the band is "Sexual Chocolate" but I decided to tone it down just a notch for you guys. This another Valentine's Day look and I wanted to steer away from red and pink. This look has plum and mauve in the crease and a brown lip. 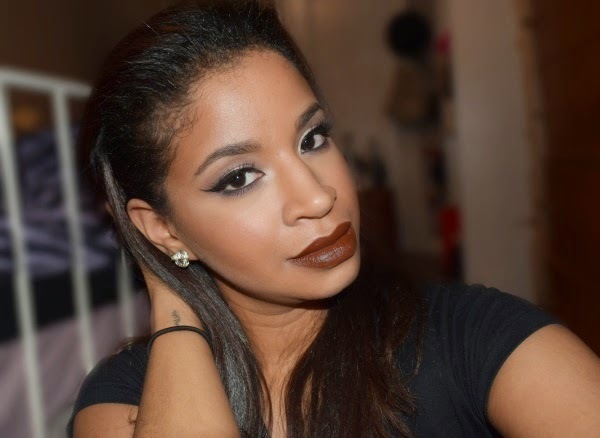 It's a little different and the brown lipstick complements darker complexions beautifully. I'm one of those people that actually likes Miley Cyrus. Sure, she's a little over-the-top at times but I do like her style. It is fun and cheeky, like her. I loved when she got that makeover because the haircut really suits her. She's just enjoying her youth so I'm just letting her rock. MAC has teamed up with her to create a new shade for their Viva Glam lipsticks. The Viva Glam line is part of the MAC AIDS fund. Every cent of the proceeds goes to fund men, women and children that are affected by HIV or AIDS. I do agree with MAC picking Miley Cyrus as a spokesperson because of her target audience. It's a great way for young people be made aware of HIV and AIDS. Because honestly, it can happen to anyone. Viva Glam Miley is described as a hot pink with blue tones. It has the an amplified finish, similar to the shade "Up the Amp". 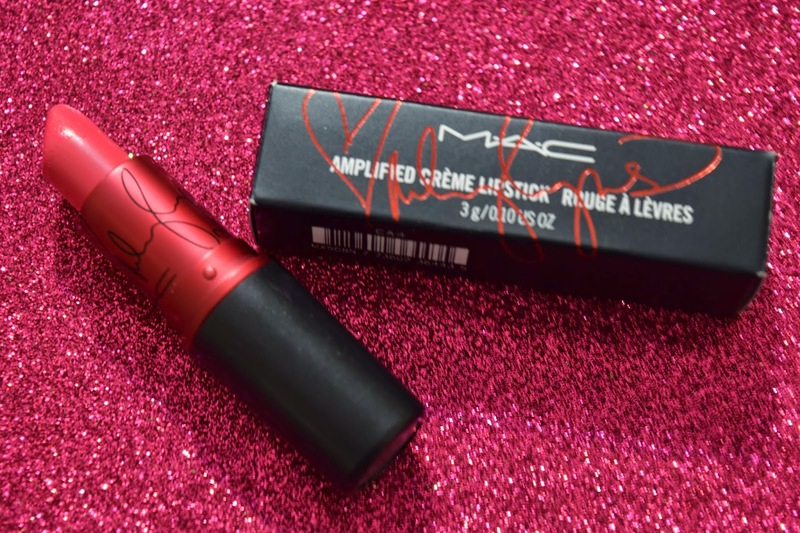 It comes in the traditional Viva Glam packaging and it has Miley Cyrus's signature both on the tube and packaging. Soo is Viva Glam Miley Cyrus WOC friendly?